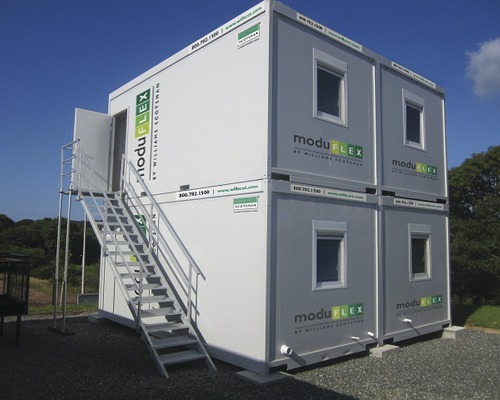 Williams Scotsman has introduced their latest modular trailer design called Moduflex. They are well suited for the construction industry and can be linked together in multiple configurations including side by side, lengthwise and vertically. They can be stacked using a standard forklift. They come fully wired with electrical and phone connections. They also include double glazed windows, reinforced floors and galvanized steel frame construction. 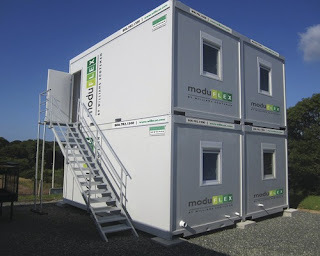 They are already being used in Europe in inner city projects where their small size and security is needed. 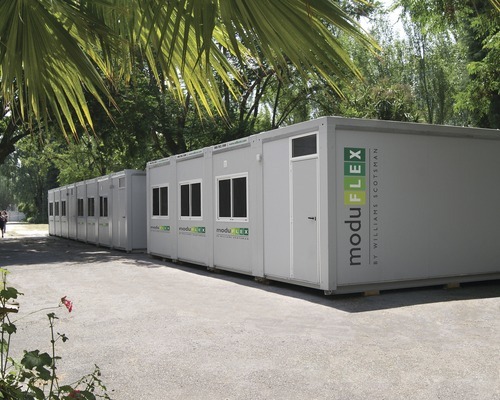 These portable construction site trailers can be set up in as little as two hours and the company is targeting a 6-12 month service range. I can hardly wait for the west coast greenie “prefab” people to learn about them and start trading in their shipping container homes for these energy efficient models.